A Literary Odyssey: 6 Months and 10% Giveaway! I was sitting at the computer last night when it dawned on me that today was March 1st. Since I started blogging on September 1st, that means that it has been 6 months since I started this crazy idea. While I am slightly disappointed I am not further, I know there are reasons why I'm not. I only read 2 books in December, but that could be because I got married at the end of the month. I was a little preoccupied, obviously. Since then, my reading has really gone back to my "normal" reading level and speed. I'll get to where I need to be eventually. But I am proud of what I have accomplished so far and I am so glad that I am doing this. I am already learning so much from each of these selections and I am so grateful to these writers who are rescuing me in my time of need. In honor of finishing my 25th book (O Pioneers! by Willa Cather) last week, I have decided to host a giveaway in honor of that accomplishment (posts for Book 25 are pending and will be up this week). After all, 25 books read means that I am a whole 10% done with this challenge to myself. Since I am reading solely classics from now until I finish book 250, I have decided that I am going to give away 3 classics in this giveaway. There will be 3 different winners and each winner will have the opportunity to choose their book from the following list. If you have been reading the blog, you will see that these are the first 25 books that I have completed. If you are unsure about any of these titles, click here to see my own favorite entries on each of these selections. This contest is only for U.S. residents. Sorry, but I hope to do an international giveaway soon! You must be a follower of this blog. It is easy to do, just click on the right where is says "follow" and complete the steps. You must comment on this post with your name, a way for me to contact you if you win, and and answer to the following question: "In your opinion, what makes a book a 'classic?'" This will earn you 1 entry into the contest. If you were a follower BEFORE this post was made, please inform me in your comment. This will earn you 2 additional entries into the contest. If you post about this giveaway on your blog and link to it, please leave the link here. This will earn you 4 additional entries into the contest. The giveway entry period will end on March 19, 2010 (at midnight). It will take me a day or two to figure out the winners. Once the winners are announced, they will have a week to let me know which book they would like and I will send it their way! What makes a book a 'classic'? I believe that for a book to be given the privilege of being labeled as a classic, it must leave a message. The message can be positive or negative. Many of the classics have left something controversial which makes the novel even more famous. It must also be around for a good amount of time and have some kind of impact on people. As the years, decades, and even centuries go by, that impact must be carried throughout or even looked upon differently by people that go through changes in society and culture. This is what I believe makes a book a classic. I'm pretty proud of you for this. I mean, I know you feel bad about how slowly you're doing this, but reading becomes less fun if you do it at any pace other than what you feel like at the time. What makes a book a 'classic?' For me, I'd say it has to have been adored, both at it's own time and still today. There needs to be a certain human issue at the core of it that many people struggle with, or struggle to understand at the very least. These things always seem to transcend the ages, which is why we still read them today, and why we still love them. First Congratulations on reading 10%-I'm really proud of you. I've totally enjoyed your journey so far-I have to admit, I have learned a lot. As for what I think a "classic" is-I think that the book shows a time, a way of life,or a journey that someone goes on-or a period of time that the author is trying to get across, so those who follow in years to come, can say, look this is how they lived, loved, searched... Many works that are classifed as "classics" really do have a story to tell, sometimes the writing is so out of tune for what we read today-but that is the point. It was written in such a way as to tell you their story, in their way, in their time. Thanks Allie, this has been so much fun for me to follow you. Soooo...what is a classic? 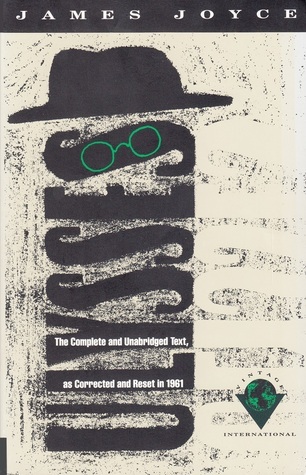 In my opinion, a classic is a novel with a common theme or message that can be related to for years to come. Some novels, written so long ago, are still popular today because they are easy to relate to or they show a vital message that connects to a person's life in some way. Jane Austen, for example, has written several amazing novels that are considered classics. And why are they considered as such? Because they each show a message, mostly about love, that touch people's hearts and remain there for years. 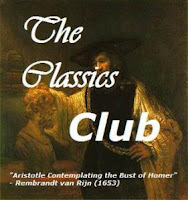 Classics are the backbone of all novels today. I think that novelists today base what they're writing off of the classics because of how many people the classics have affected people as the years go by. There is a common theme in them that will always exist, even 100 years into the future. Yup! And I was listed as a follower before this post. But keep up with the good work! I see your follwoers are still going up so yippee! Please count me in. I was a follower before this posting. I think that what makes a book a classic is a book that is widely read and known and lasts for many years. I noticed that McTeague was on your list. I just read that this semester for my American Novels class and loved it! I would to win this!! So what makes a book a classic? To answer, I must borrow from Captain Beatty from Fahrenheit 451. He talks about, as you well know oh "Phoenix Multi-Genre Girl," the reasons for why books are banned and burned. At the end of his speech, he speaks of cramming people full of useless information: "Then they'll feel they're thinking, they'll get the sense of motion without moving. And they'll be happy, because facts of that sort don't change. Don't give them slippery stuff like philosophy or sociology to tie things up with. That way lies melancholy." What makes a book a classic is simply substance mixed with passion. The substance and passion to be so pissed off, so intent, so driven by something that you put pen to paper and the world cries out in a single voice of controversy and secret appreciation for what you have written. That, my dear Allie, makes ANYTHING classic. :) I think what makes a book a classic is the ability of readers to relate with and connect to the story, regardless of what their background is. That means they usually have universal themes that any reader can understand and connect with, even if they're not born during the same era or country. In my opinion, a classic is literature that is timeless. It has the same powerful impact today as it has had many years ago. For me it's the message. When a message can stand the test of time, change, fashion, etc. For example: Shakespeare's messages still ring true today. Another example: To me, Wuthering Heights is a story about how people hurt one another. It delves in to jealousy and selfishness. Driving home the point that we must be careful how we love because when we are not careful we can hurt the ones we love the most. Classics are timely and they are also timeless. They are artifacts of the times in which they were written. Reading a classic is like being on an archaeological dig-- you find all these little relics that give you insight into the literary period. In addition, they shed light on the human condition, which is timeless. Themes like love, guilt, anger, life, and death have universal appeal and will speak to people as long as there are people to be spoken to. A classic is one of those timeless stories that you want to read over and over, and then hand it on to your children and hope they love it enough to give it to theirs. It's a story that moves you and the characters live with you for a long, long time.